If you are new to the LSAT, welcome! This is a great place to start. This is a complete guide with everything you need to know to get started prepping for the LSAT. If you are getting started on the LSAT, bookmark this page so you can come back to it as needed. In this post, we try to include a bunch of resources from our blog that will help orient you and get you on the path to LSAT success. Evan and I met 1L year of law school at the University of Chicago. After graduating, we both decided we weren’t all that into the practice of law, so we fled to start lawschooli.com. Myself (left) and Evan in front of our law school at University of Chicago. This photo was taken hours before I got married to my fantastic and beautiful wife, Gretchen, in the chapel across from the law school. However, we haven’t fully forgotten about the law school world. We both liked the LSAT. I know that sounds strange, but it’s an impressive test. It makes the other standardized tests seem laughably easy. We both managed to hit a high score on the LSAT. I got a 177, a 99.8th percentile score. Evan got a 173, a 99th percentile score. However, we both put in a lot of hard work on it to get there. I attacked the LSAT in a more organized and methodical way then I had done with anything up until then (or frankly, anything since). Still, it was a pain doing it because I had to wade through a sea of junk information before I could find a consensus on proper strategies for prepping. I didn’t know how long I might need to study or which techniques were considered the best, or the million other little tips that can come in handy. To figure it out, I had to listen to 10,000 trolls on the forums. I also ended up just buying every resource that was out there because I didn’t know what was what. It was expensive, and most of it turned out to be garbage that just ended up in the trash. We are hoping you don’t have to go through all that. To that end, we offer free, unbiased, expert advice about prepping for the LSAT (and also getting into the best law school at the best price). We stay up on developments on the LSAT, and all our advice is either what worked for us or something we have carefully examined. 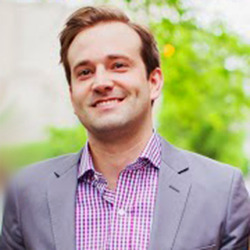 Evan is also a former LSAT tutor and classroom instructor, so he brings all that experience to the table. We are also here to help you personally. If you have any question about the LSAT, any question at all, go ahead and ask in the comments to this or any other post. We’ll do our best to get back to you as quickly as possible. The LSAT, as I said, is daunting. People often say that law school is like a series of hoops you have to jump through, and the LSAT is the first hoop. That, to my mind, belies the importance of this test. Law school is probably better thought of as a tournament-style competition, and the LSAT is your first battle. While it’s the first, it might also be the most important: the LSAT is the primary tool schools use to sort through potential students. Whether you like it or not, you are being compared with the other candidates. Those who do the best on the LSAT are going to have the best options. The name, the Law School Admission Test, is truly appropriate. This is the test that essentially determines where you will be admitted to law school. If you lump all the other factors that determine admission together, they aren’t even close to half so important as the LSAT taken alone. Picture a scale, and on one side of the scale you’ve got the LSAT, and on the other side, you have all the other factors: GPA, where you went for undergrad, your work experience, etc. The scale isn’t just tipped towards the LSAT, the LSAT side is so heavy it’s nearly touching. On average, LSAT alone probably makes up 75% of whether you get into a law school. 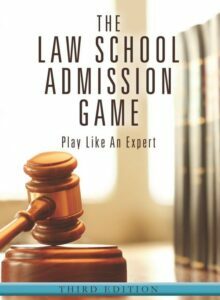 The Law School Admission Game: Play Like an Expert has more great tips on getting into law school! Check out our interview with author Ann Levine, and CLICK HERE to pick up a copy of her best-selling book. The LSAT’s importance can’t be overstated. If you decide to take the test, you should be ready to devote yourself wholly to it. Practice intensely, and you won’t have to worry whether you are doing enough. The hard work will pay off. The LSAT is not, strictly speaking, an intelligence test. We have a post devoted to dispelling that and other common LSAT myths. The amount of time invested into study strongly correlates with higher scores. Put in work, and you can improve a lot from where ever you start out. You can crush the LSAT! Now, let’s answer some beginner LSAT FAQs and get you pointed in the right direction. You might want to skim over this next section if you are familiar with the test structure already. The LSAT is a standardized exam that tests skills considered fundamental to success in law school. The test contains five 35-minute sections of multiple-choice questions. The scored sections will consist of two logical reasoning passages, one analytical reasoning section (more commonly called “logic games”) and one reading comprehension section. The is also one additional section which is not scored, called the “experimental section.” It might be any one of the three section types. While you can sometimes deduce after the test which section is experimental, it’s not possible to tell which is experimental during the exam (at least not without violating the test rules and risking severe consequences). Logical reasoning sections consist of approximately 25 short passages with a single question about each passage. You are asked to analyze the logic contained in the passage. For example, you may have to find a flaw in the author’s reasoning or determine an assumption on which the author relies. Reading comprehension: Reading comprehension sections have four longer reading passages with five to eight questions per passage. You are asked to perform certain tasks to analyze the passage, such as determine what the main point of the passage is or find some support for a conclusion within the passage. To see what each kind of question looks like, look here to find real LSAT sample questions. That includes a link to two full free sample LSAT practice tests. How Long Do You Have To Study For The LSAT? While there isn’t exactly a consensus on how long you should prep, there is a consensus on what you should do to prepare. You should do just about every single real LSAT practice question available. 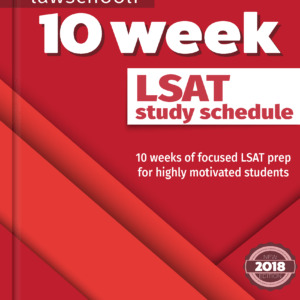 There are currently over 80 published LSAT practice tests, totaling over 8,000 LSAT questions (there are also 10 out of print LSATs available in case you need a little extra practice. Find them here). Also, you need to learn the correct strategies for attacking the LSAT. Altogether, it usually takes about a minimum of three months to do this without studying so much that’s it’s uncomfortable. You may need to consider a longer course of study if you have a lot of other life commitments to juggle. For a more thorough discussion of the nuances here, see our post on how long you should study for the LSAT. Where Can I Find A Good Prep Schedule? You are going to see the most success on the LSAT if you set yourself a schedule and follow it faithfully. Like we said, three months is about the minimum required to do it right. To help take the thinking out of what you need to do and when we’ve carefully prepared a 3 MONTH LSAT STUDY SCHEDULE. This schedule tracks what Evan and I both did (minus the unhelpful stuff) to prep correctly and earn high scores on the first try. Our whole spiel is that most people don’t prepare enough for this test. They end up regretting it and have to retake the test or give up on the law school of their dreams. There is no reason to be a part of that group. 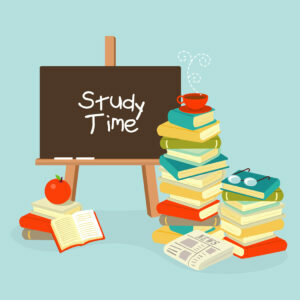 Only start studying when you are sure you have the time to study. 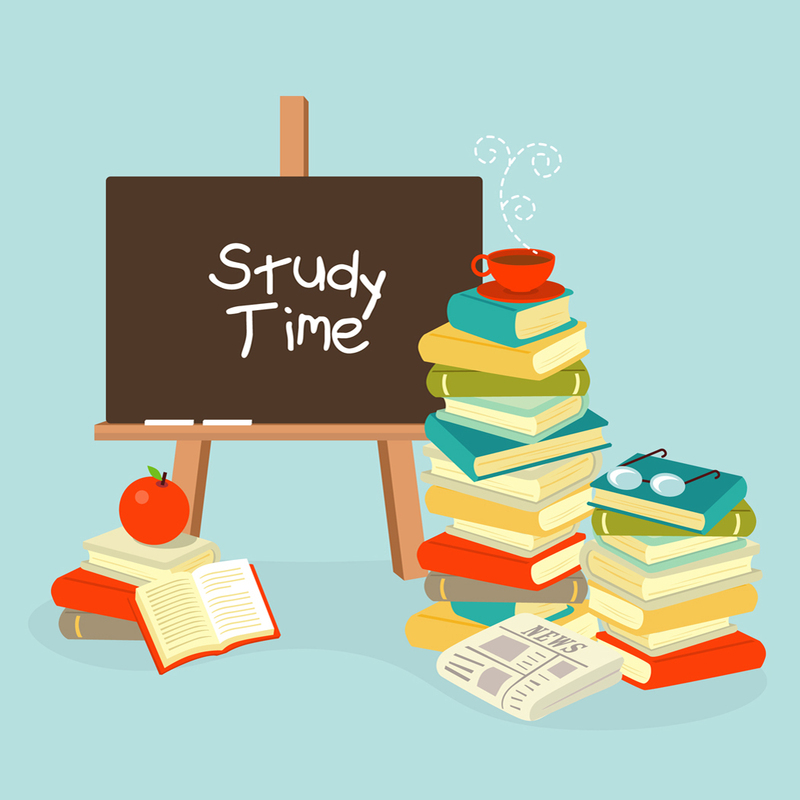 If you aren’t able to study enough, you should delay and take it when you have adequately prepared. There’s just no legitimate reason to take this test when you’re not ready. Studying for a retake is often tough because you will have seen a lot of the practice questions before. Don’t mess around with that. Study right the first time. To get you in the right frame of mind, let me give you this: This is Evan’s post on 5 HARSH TRUTH’S THAT WILL MAKE YOU BETTER AT THE LSAT. There, along with some Zoolander photos, you’ll get a major LSAT wakeup call. If you are ever slacking, just go back to that post. Should I Take A Prep Course Or Self-Study? This is the hundred dollar question that everyone asks at the beginning of their prep. It might comfort you to know that both strategies work fine, and plenty of high scorers come from either group. We both self-studied. If you can be self-motivated, it’s a perfectly effective strategy. It may even be slightly favored among the high scorers. Anecdotally, it seems the majority of students at top 6 schools were self-studiers. I don’t think this is because self-study is necessarily more effective, but rather that those who end up with high scores tend to be real self-starters, properly set a rigorous program for themselves, and follow it through. Even if you take a prep class, you should emulate that attitude. Many prep classes don’t assign you enough work to max out your score on the LSAT. Read that 5 Harsh Truths post, and you’ll know more about how to get it done on your own even if you take a prep course. When you go with a prep course, you now have the further option of online vs. in-class. I like online courses. Online courses are cheaper, and you don’t have to commit to travelling to your class. Most of us are busy and that travel time might be better applied to just studying, especially if you are working a job during your prep. The other significant benefit to online courses is that that you can re-watch lessons. I think hearing these concepts once is often just not enough to get them to sink in. Being able to locate the lecture where you learned something and rewatch it as needed is invaluable. The only downside is that you might have trouble staying on task without someone checking in on you a little. However, I’m wary of relying on someone else to coax you into studying. Your whole LSAT experience can tell you a lot about whether you want this bad enough. If you are having trouble finding the motivation to study, that might be a good indication that law school isn’t a huge priority for you. LSAT prep classes are also not all created equal. The common advice, which we support, is to stay away from the huge companies that aren’t LSAT specialists. That includes Kaplan and Princeton Review. These companies seem to have given up on making innovative LSAT material years ago. Now, they spend all their money (and your money if you support them) on blanketing the internet with ads. While a fraction of their advice is passably okay, much of it is garbage, and you won’t be in a position to know what is what. Stick with companies that care about the LSAT and devote themselves to making great techniques. The following are well-regarded companies that I know have rock-solid methods for attacking the LSAT: Powerscore & Blueprint are great places to start. Manhattan LSAT also has a good reputation, so although I can’t vouch for them personally, they may be worth checking out. Should I Take A Cold Diagnostic? We are of the opinion that it’s useful to start your prep with a “cold diagnostic” exam. That’s a real LSAT practice test that you take with no prior study. You do this to give yourself a starting point to measure your progress. Here’s how to take a cold diagnostic. What Section Should I Start Learning First? Logic games is a natural starting point. 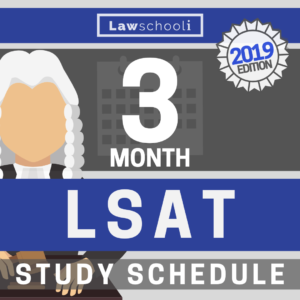 It’s got the steepest learning curve, so you generally want to be spending time with it over the full 3+ months that you are studying for the LSAT. Developing an effective strategy to diagram LSAT logic games is one of the cornerstones of attacking the LSAT correctly. Trust me; you don’t want to try doing all the work off the page in your head. Nobody does that, not even 180 scorers. Each prep company has different approaches to LSAT games (although the better companies all have methods that are fundamentally similar). When starting out, I think most people just sort of pick a company and their approach sort of randomly. They’ll google a few things and see what people are saying and decide on that. I think the better strategy is to look at the proper approaches to logic games and choose whichever one seems most intuitive to you. To help facilitate this, Evan prepared a post where you can look at the various basic techniques. Check out this INTRODUCTION TO BASIC LINEAR GAMES. It covers the different approaches to these games so you can pick amongst them. For the self-studiers, there are only two books out there that set the gold standard for learning logic games. The first is the well-known Powerscore™ Logic Games Bible. We have a full review of the recently revised edition here. We have also thoroughly reviewed this book here. Read our introduction to linear games, and you’ll have a better idea which book might be right for you. That intro is also a great place to start your logic games prep. It will give you an overview of the techniques needed to master linear games, the first major subtype of logic games. A common question I get is people wondering if they should buy these books even if they are learning from another prep company’s prep course. Well, if you are studying with Kaplan or Princeton Review, then yes, definitely, you should switch over to these techniques. 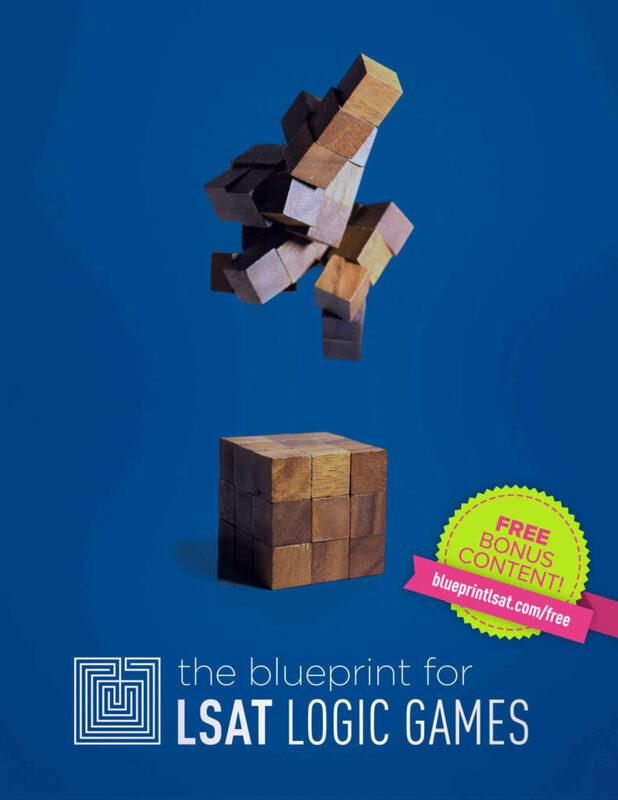 However, say you are studying with the help of the Blueprint book… Is it helpful to buy the Logic Games Bible too? Generally, no. They cover the same material, and both are comprehensive. However, if one company’s strategy isn’t working so well for you after a lot of time with it, it might be worth investigating whether the other book works better for you. You can mix and match strategies as long as you are consistent in applying one approach to each type of rule you encounter (if that doesn’t make sense now, trust me, it will after you have started studying). My biggest problem with LSAT prep companies is that they tend to underemphasize the most essential part of learning logical reasoning: the “logic” part. You have to know the basic logic for the LSAT cold to progress on the logical reasoning section. Evan tells me that as a tutor his biggest pet peeve was running into people a month or more into their study who didn’t have conditional logic down. YOU HAVE TO KNOW CONDITIONAL LOGIC BETTER THAN YOU KNOW YOUR MOTHER IF YOU WANT TO DO WELL ON THE LSAT LOGICAL REASONING SECTION. I’m sorry if I scared you with that all-caps rant, but people could avoid a lot of problems if they get this down. Start with that, and you’ll be laying the proper foundation necessary to master the LSAT logical reasoning section quickly. From there, you are ready to ride. 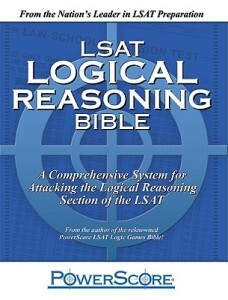 For self-studiers, there is only one book we recommend to cover just the logical reasoning section. That is the Powerscore™ Logical Reasoning Bible. There are over 500 pages of beneficial logical reasoning instruction and real LSAT questions to practice. I really think that’s the minimum amount of space necessary to thoroughly cover the subject. There are A LOT of techniques to learn. There is a little less mystery to the good ways to approach the reading comprehension section of the LSAT. For a whole lot of people, it’s going to come somewhat naturally. For the rest of takers, the best way to approach it is often to learn some strategies, then apply brute force: just doing a ton of these sections will help you familiarize yourself with the kinds of questions they ask and will build your working memory and speed. The book we recommend for learning strategies is The Powerscore™ Reading Comprehension Bible. These days, successful self-studiers are often using books from a couple of different LSAT companies to study. It’s a solid plan as long as you choose a consistent approach to the problems from among the various strategies at your disposal. If you wish to do this, you should add extra time to your study schedule. A lot of people like to use explanations to questions to bolster their study. It’s great when you are stuck and can’t see a solution. I’m okay with it if you satisfy two conditions: First, you have to do the questions on your own first. Second, you have to thoroughly review them yourself to see if you can reach the correct answer on your own. From there, the explanations will help you make corrections in your thinking process and will help you apply the strategies you have learned correctly. Here is a full post where we discuss some of the best LSAT explanations currently available. Remember that the actual preptests often come with some of these explanations, so try to avoid buying the same preptest twice. If you have already purchased a preptest, some explanations come separate, so you don’t double pay. I recommend Graeme Blake’s LSAT Hacks Series for this. Once you’ve started on the path to LSAT mastery, there are tons of tips that can help you fine-tune your approach. Check back on this blog and sign up for e-mailed LSAT tips to be sure you don’t miss future tips. Here are some tip posts to get you started. How Can I Increase My LSAT Score in Under 30 days? The Powerscore™ Logic Games Bible or The Blueprint For LSAT Logic Games (see discussion above for help choosing between these two. 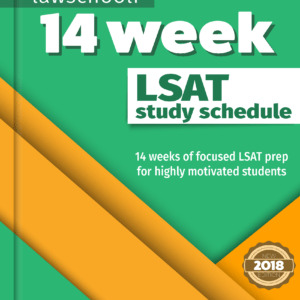 Here is a link to EVERY ACTUAL, OFFICIAL LSAT PREPTEST AVAILABLE FOR PURCHASE. We recommend you get the most recent 60 preptests on there. The oldest ten may be considered optional, extra practice. GREAT ARTICLE, Josh! Kudos to you and Evan for creating such a helpful and free LSAT tips site. I tip my hat to you both. Tweeting this article to all my followers now. Thank You this blog is a big help! 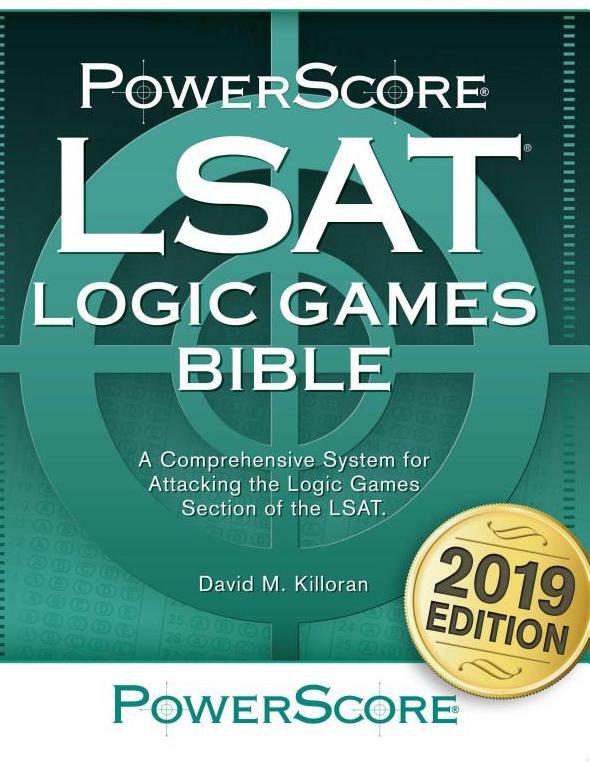 I was wondering though…If I’m taking the June 2014 Lsat would you recommend studying from the Powerscore Lsat Logic Games Bible Revised for 2013 version? Do you know if there is much of a difference? There is definitely enough extra material to justify the price difference IMO. However, it looks like it’s really expensive on Amazon this week, probably because Amazon is out of stock and other sellers are selling it. Though Amazon is usually cheapest, I would wait a week for that to come down or check elsewhere. Thank you so much for this great blog! I will start to study for the LSAT soon and all of your work here has really helped to focus my approach. Thanks for the feedback Caroline. Best of luck and remember we are here to answer questions.